There are three superfoods in our recipe of the month! Substitute purple sweet potatoes for the normal ones in the video for a unique twist. Enjoy! about the stars of your pot this month! Tempeh is so common and accessible in Asia that you'd be forgiven if you thought it was just another Clarke Kent at the office. It's a dense soybean cake rich in calcium containing omega-3 fatty acids, plant-based protein, prebiotics and fibre. It even suppresses cancer. This versatile protein needs to be baked, grilled or steamed before consumption. It can then be cut up and added to stirfries and salads. 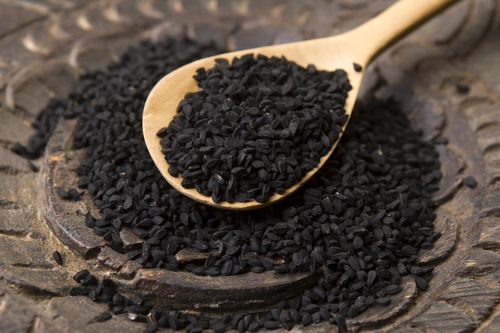 Black cumin is a popular medicinal and spice in India, Egypt and the Middle East. High in Iron, it is good for boosting immunity and metabolism. Traditionally a digestive, it's recently been touted for its cancer-busting capabilities. 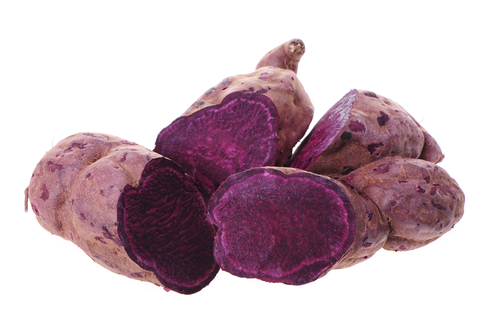 Purple sweet potato is rich in Vitamin A (beta-carotene), potassium and fiber, which means that it is highly beneficial in fighting cancer, maintaining blood pressure and maintaining weight loss.